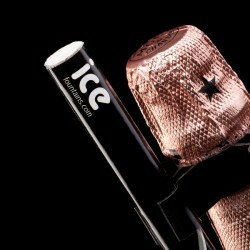 The Ultimate Hand-Held Ice Fountain is ideal for use by podium dancers and performers. 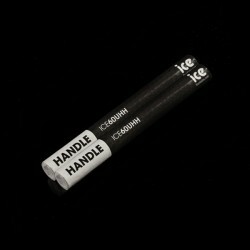 Its extended handle allows you to hold the ice fountain without the risk of burning your fingers from the heated ice fountain tube. This product burns with a standard gold flame for approximately 60 seconds and produces minimal smoke and minimal odour. The most common use for these ice fountains is to start any performance ensuring guests eyes are on the performer at the start of the show. We currently supply this product to some of the largest event entertainers and gentlemen’s clubs around the UK and the Rest of the World. This product conforms to European standards EN 14035-15. 1 pack of 2 gold flamed 60 second hand-held Ice Fountains. Great for small parties, shows and celebrations. This product conforms to European standards EN 14035-18. 1 box of 60 gold flamed 60 second hand-held Ice Fountains. Great for small parties, shows and celebrations. This product conforms to European standards EN 14035-18. 1 case of 360 (6 boxes of 60) gold flamed 60 second hand-held Ice Fountains. Ideal for nightclub dancers and performers. This product conforms to European standards EN 14035-18.